Native River: a Gold Cup winner waiting to happen? As the Cheltenham Festival nears, an extra layer of bubble wrap will probably get applied to the limbs of equine aces in stables all over Britain and Ireland, but there are still a few dress rehearsals before the main event, including Newbury's fixture on Saturday. The track's card, supported by Betfair, is billed as Super Saturday and it is not easy to argue with that tag given some of the stars who have won on the card before going on to earn festival laurels. They include Kauto Star, Denman, Sprinter Sacre, Master Minded, Al Ferof, Coneygree and Ballyandy. Some act to follow eh? Newbury's main race is the Betfair Hurdle (3.35), a £155,000 handicap that is the richest of its type in Britain, but the two small-field Grade 2s promise to provide better Cheltenham clues. 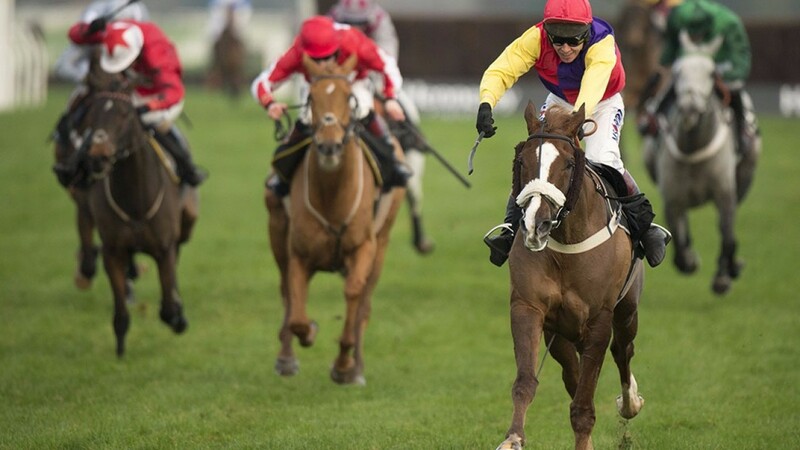 Native River, a leading contender for the Timico Cheltenham Gold Cup, won the Hennessy Gold Cup at the track in November and followed up in the Coral Welsh Grand National over Christmas. Bristol De Mai, one of just two rivals for Native River in the Betfair Denman Chase (2.25), should not be dismissed from Gold Cup calculations either. Neither will, however, likely be considered as banker material, but that does not apply to Altior, red-hot favourite for the Racing Post Arkle. A novice over fences, he steps into senior company for the Betfair Exchange Chase (3.00), which is the Game Spirit in old money. Trainer Nicky Henderson used this play with Sprinter Sacre before his Arkle stroll in 2012 and it will take something special from Fox Norton or Traffic Fluide to ruffle Altior. Four races from Newbury are on ITV4 and three contests from Warwick will also be broadcast. Its fixture does not boast an impressive pre-festival roll of honour like Newbury, but Glens Melody won the OLBG-backed listed mares' hurdle (2.05) in 2015 before graduating to the major distaff prize at Cheltenham, although that was the day her brilliant stablemate Annie Power fell when looking in full control. ITV4 (Freeview: 24, Sky: 120, Virgin: 118) broadcasts The Opening Show at 10am and also shows Warwick's Betway Kingmaker Novices' Chase (2.40) and the Racing UK In HD Warwick Castle Handicap Chase (3.15). The ITV4 cameras may not be showing the closing bumper at Newbury (4.45) but it is worth the walk to your local bookies as in recent years it has been won by some smart types, while the opening novice hurdle (1.15) also features a Cheltenham contender in High Bridge. One of this season's greatest success stories, Debra Hamer's Tobefair, bids for a seventh successive win in the 1.50 - a victory that would help him go up the weights enough to get into the Pertemps Final. Tobefair is not the only horse seeking a seventh successive win on Saturday as Willie Mullins' Listen Dear makes her own bid in the Listed mares' chase at Naas (3.20), while later on the same card Carter McKay and West Coast Time - joint second favourites for the Weatherbys Champion Bumper - go head-to-head in a four-runner race (5.00).